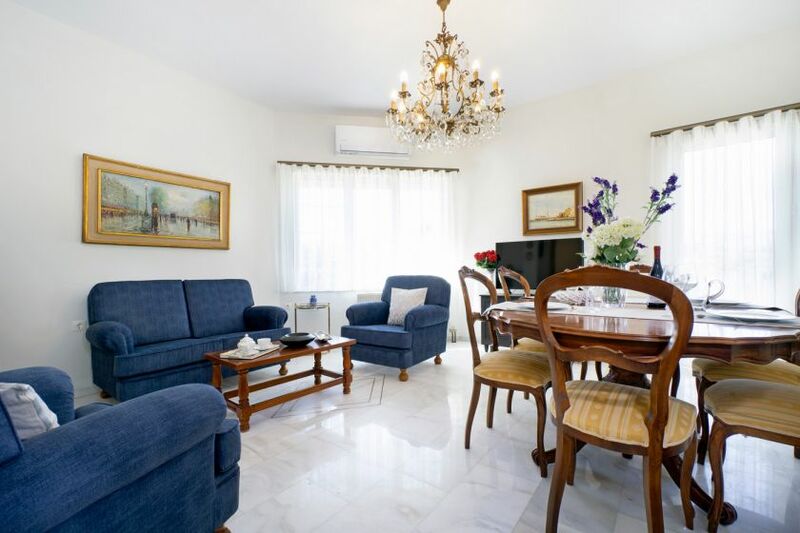 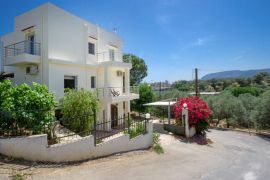 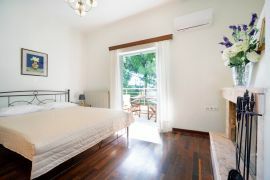 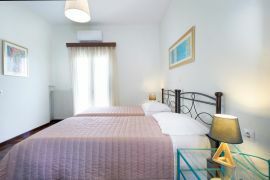 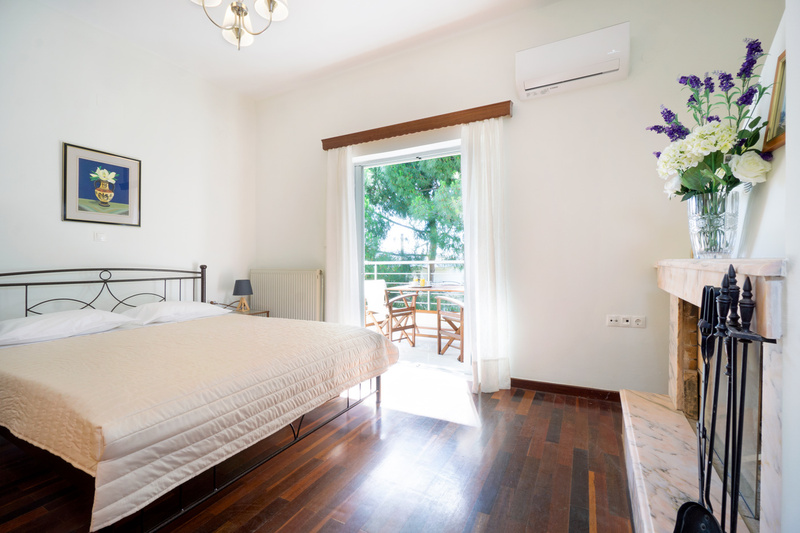 The lovely 2-bedroom Welcome Apartment is located in a peaceful residential area 1000 meters from the sandy beach of Aptera and 2 km from the centre of the picturesque town of Chania. It is a ground floor apartment, which is elevated from two sides. 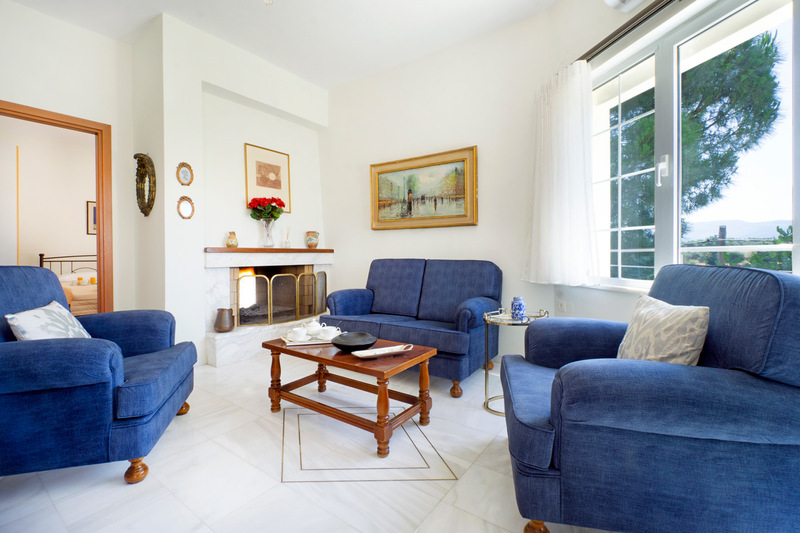 An elegant open plan area with a living room corner with a fireplace, a dining table and a long balcony with countryside views is provided. 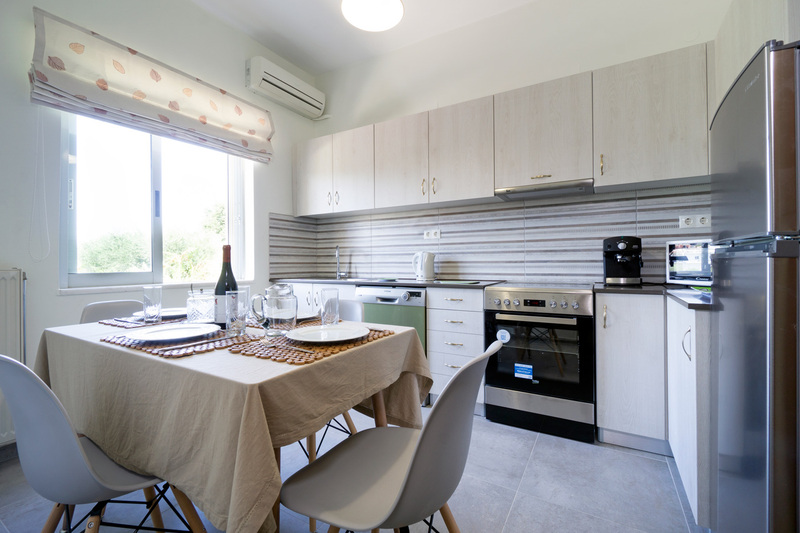 A separate fully-equipped kitchen with another dining table, a big refrigerator, a big electric kitchen, a boiler, a coffee maker, a microwave, and a dishwasher is offered. 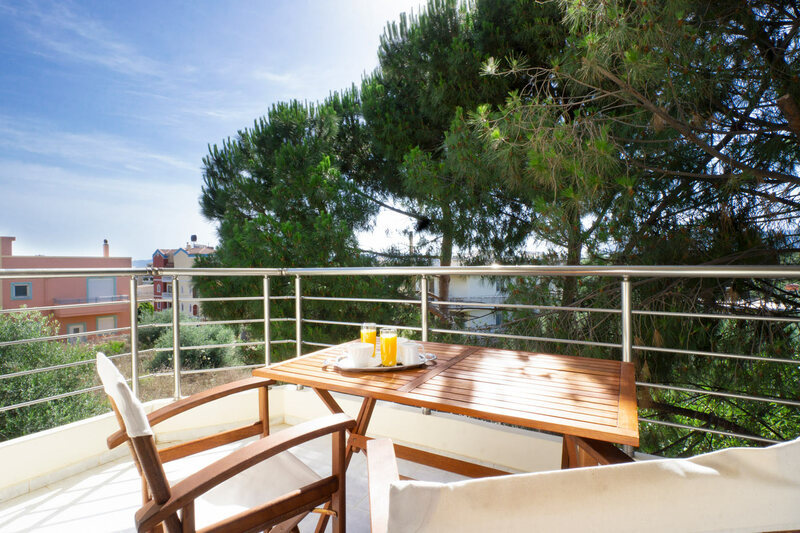 One bedroom with a double bed, a fireplace and a beautiful balcony with garden views, and one bedroom with two single beds are provided. The perimetrical balcony is partly shaded and partly very sunny having a corner for sunbathing. One bathroom with a shower is also available. 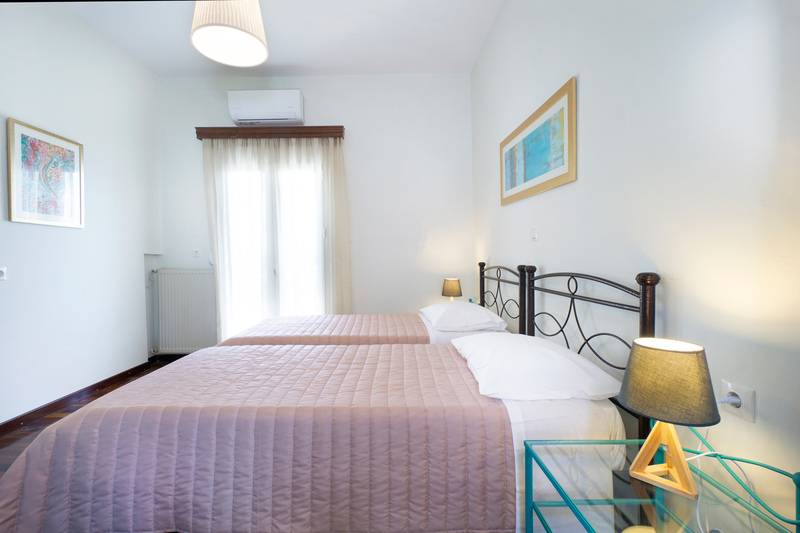 All guests can go on foot on the sandy beach of Aptera, at 1000 meters from the apartment. 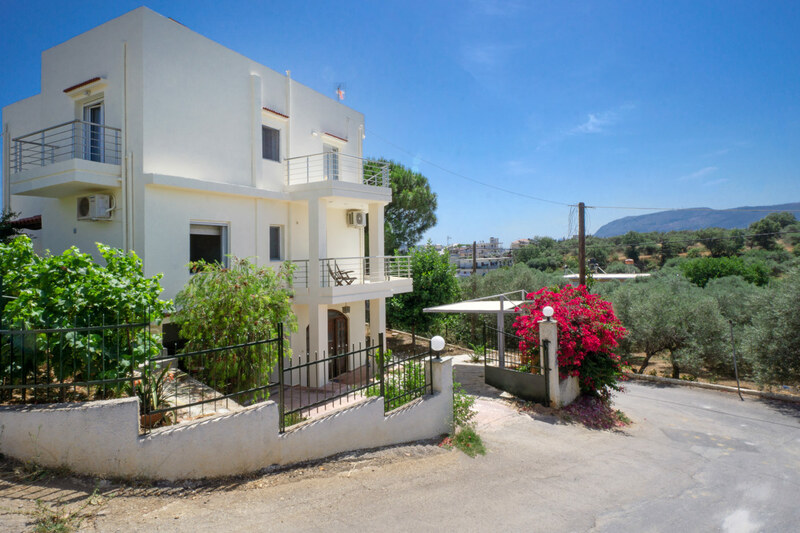 The long sandy beach of Chrissi Akti, a few mini markets and restaurants are accessible on foot as well.